New Jersey Car Accident Attorney | Tomes & Hanratty P.C. The National Highway Traffic Safety Administration reported that more than 33,500 people died in car collisions in 2012, with about 2.36 million other people experiencing serious injuries from car crashes. The troubling thing is that most of these accidents could have been prevented. When people text and drive, drink and drive or just don’t follow the rules of the road, the likelihood of them causing an accident increases. 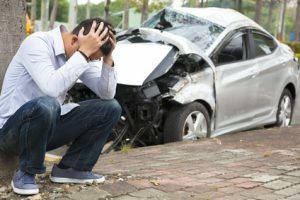 If you have been harmed or you have lost a loved one as a result of a fatal car crash, truck accident or other accident, the Freehold auto accident lawyers at Tomes & Hanratty, P.C. want to help. With more than 30 years’ experience representing accident victims and helping them obtain meaningful recovery through aggressive representation, we are a firm you can trust during difficult times. There can be more than one cause that contributes to an accident. You may still have a case even if you are partially responsible for the accident. You may be suffering from a number of different injuries such as back or neck problems due to whiplash, broken bones or even more serious injuries such as head trauma. These medical bills can increase at a rapid rate and leave the injured person drowning in expenses that they were not financially prepared for. Luckily, New Jersey has a number of options for auto insurance that can provide you with coverage in the event of being injured in a car accident. In New Jersey, if you are in a car accident, you may have personal injury protection or no-fault insurance. This is a situation in which first, your health insurance pays for your injuries first and then your PIP auto insurance provides you with a secondary layer of coverage. There are two parts of PIP coverage; the first being coverage of your medical bills and the second being coverage of other expenses such as lost wages. The reason that this plan is sometimes called no-fault insurance is because your medical expenses will be covered no matter whose fault the accident was. Unfortunately, there are situations in which some motorists do not have enough insurance coverage to pay for your injuries in an automobile accident. However, in New Jersey, there is an additional coverage option known as Underinsured Motorist Coverage that can help protect you after an accident. The minimum amount of coverage a driver can have in New Jersey is $15,000 and many times, that is not enough money to provide for an injured driver with mounting medical expenses. Underinsured Motorist Coverage will allow you to go after your own insurance company to pay the difference between the other driver’s policy and your remaining expenses. At Tomes & Hanratty, P.C., our lawyers are dedicated to protecting the rights of people who have been seriously injured in car accidents, truck accidents or any other kind of accident by recovering the compensation they need to recover and move forward with their lives. We understand that it is of the utmost importance that you file your personal injury claim in New Jersey no more than two years from the date of your accident. You may be entitled to compensation for your lost wages, medical expenses, and pain and suffering that you have experienced as a result of your accident. If you have been injured as a consequence of your accident, please contact Tomes & Hanratty, P.C. today for a free consultation.